OK. this is a seriously late post, because this one should have also been posted back in October last year! That is because it is an October Birthday celebration mani. It was due to be posted at the end of October, which is exactly when I had my motorcycle accident. I can't believe I haven't been able to walk since then! Man I can't wait to be able to walk again! 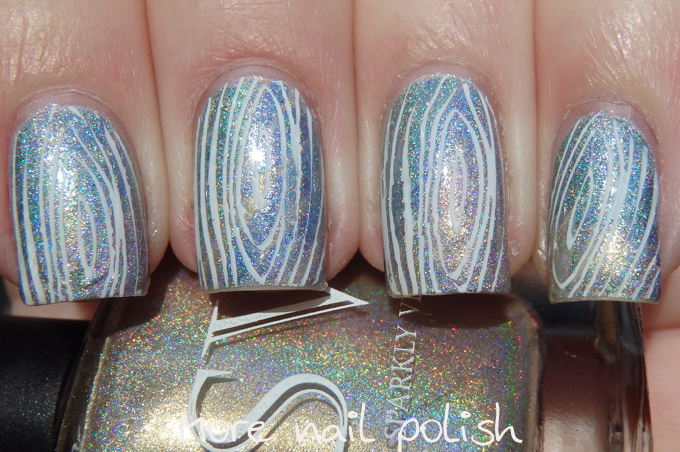 Anyway, this birthday mani had the below "Unicorn Wood" inspiration photo. I wish I knew what it actually is. 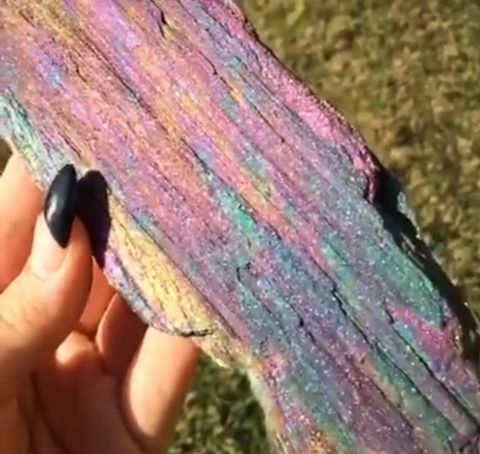 Is it just paint on wood, or is it some mineral deposit. Who knows? But it sure looks pretty cool. 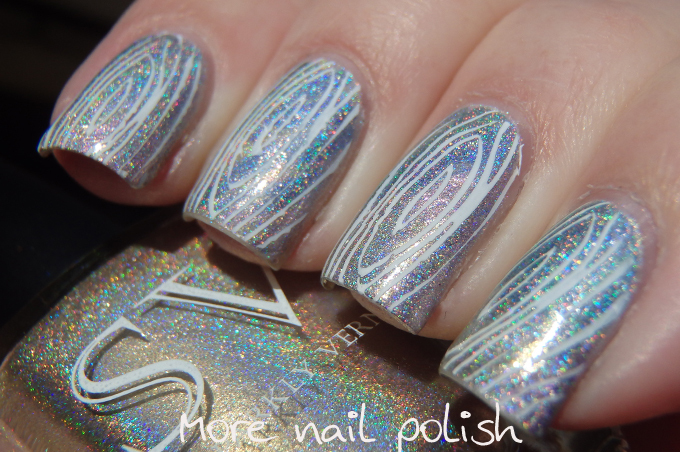 My mani was created using all the Sparkly Vernis Frosted Sweets collection from winter 2014. 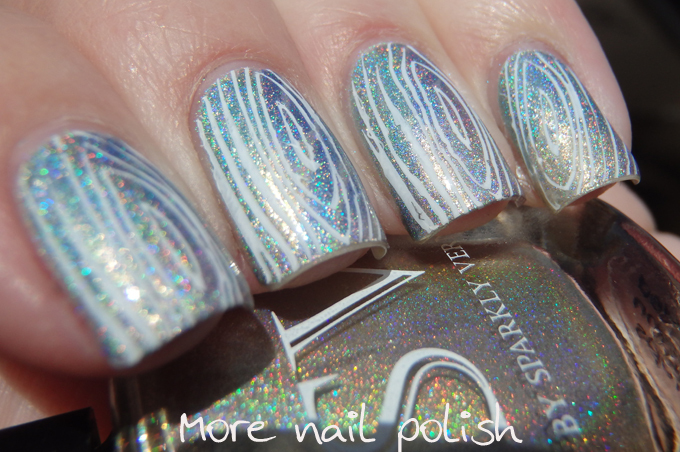 The polihses are all pastel shades of sparkly holos, which I thought would be perfect for this mani. In hindsight, I probably should have chosen polishes with a bit strong pigmentation, as the pastel shades all seemed to look very similar once I had smooshed them together. To give the 'wood' vibe, I stamped a wood grain pattern using white polish. I'm not sure how I feel about these. 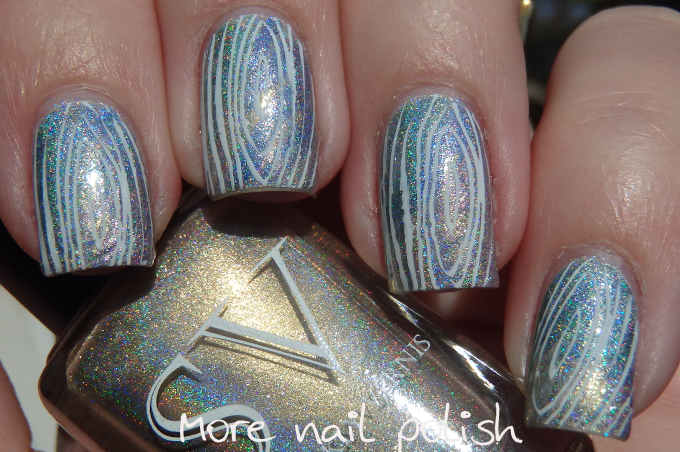 I wish the colours were brighter and maybe should have gone without the stamping. This is pretty. Holo wood.